It has been 10 years since I brought Medical Film Tables to the world. One of the cleanest, cheapest, most efficient, user friendly, high yielding and quality producing systems ever designed (when used with the med-man method that is). It is time to now unveil my medical film buckets. They have been on my mind a while now, and the awesome guys at BC Northern Lights turned me on to a high quality plastic fabricator. 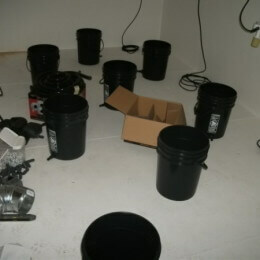 I have 13 prototypes buckets, and am building this room as a research and development facility. In standard fashion, the build, the nutes, the genetics, the system and environment/technique will all be med-man brand. A never done before achievement by any company in this industry. I welcome you all to join me on this journey in real time as I build and grow. I will also have a couple other krusty buckets in the room to compare my new buckets to his.